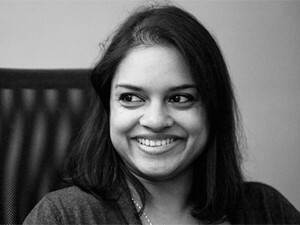 Riona Naidu, head of Consulting Services & Marketing at Knowledge Factory. Business Intelligence, or BI, is increasingly a must-have technology for progressive businesses. But how does it stack up with the instincts of business leaders who should be taking the BI reigns, and why can't you expect results tomorrow? There's a lot of jargon encouraging a business based on intelligence. Marketing hype often talks of the 'fact-based' or 'real-time' business. But it's disingenuous, since all good companies operate on intelligence. The arrival of technological products that handle that intelligence is not solving a particular problem as much as enhancing a pre-existing role. Yet this can lead to the suspicion that BI aims to replace the instincts of business leaders, usurping their guidance. It has bred hostility to BI, misinterpreting the value BI solutions can bring to an organisation, says Riona Naidu, head of Consulting Services & Marketing at Knowledge Factory. "BI shouldn't be an uncomfortable thing. It shouldn't be a big move. It should be something that works alongside what the business is actually doing, just making it a bit more efficient and to the point." BI should complement the culture of an organisation, not upset it. CEOs aren't exclusively fact-based and technology can't replace their intuition. If done right, BI serves to inform a leader's decisions or creates an opportunity for them to test their hypothesis. Yet a successful approach to BI requires leaders not to be blind to the promises of modern intelligence gathering. Real progress requires vision. Says Juan Thomas, Solutions director of PBT Group: "Companies that are really getting value from their investments are the ones that keep investing in newer and better technologies. We have the capability to do it, but do we have buy-in from a programme manager or the C-level?" The question of business buy-in quickly surfaces. Good BI falls squarely on the culture pushed by the CEO, says Bill Hoggarth, an independent consultant with over 30 years of BI experience. "If you look at most of the changes in the history of BI and analytics, they've been driven by individuals. Sam Walton was the first to base his business on data- and fact-led decisions. When he only had two stores in Washington state, he already had invested in a nascent mainframe. 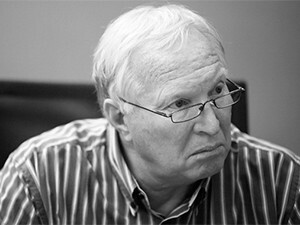 He made information part of his business strategy and it made Walmart what it is today." Walmart is often cited as a wholly technology-driven company. It has long embraced technological developments in supply chain management to keep its pricing both competitive and profitable. Most recently, the company merged its various IT divisions into Walmart Technology, a single monolithic entity that surveys all of the retail giant's technology plans from close to the business' pulsing heart. It is also a trailblazer of BI adoption. You have to understand the business context and then work back to what data is required to deliver the intelligence that will enable you to make the good decisions. Any company can achieve such an edge, but it doesn't happen overnight, despite the promises of some BI solutions. More on that later, but the first and fundamental step to any BI journey starts, according to Steven Ing, associate consultant at BSG, from the business value proposition: "What decisions do you need to make to enable that proposition? You have to understand the business context and then work back to what data is required to deliver the intelligence that will enable you to make the good decisions. The reason why BI has failed is that a lot of these projects are started the other way around. You're not really understanding what decisions you're trying to affect and, therefore, what intelligence is required for that." But can the onus really be put on business to appreciate the cat's cradle of technicality present under BI's hood? Juan Thomas, Solutions director of PBT Group. "There's always this clash between business and IT," says Tony Bell, director at Decision Inc. "What's happened is that the business people have decided they have performance issues that require immediate solutions in reporting and analysis. So their first capability is to make better decisions. They don't care where the data comes from. They just want results to see and improve. They want that value. If you can show the value and improvement in business, business is entirely happy and that expands from one department to another." But not everyone agrees with this view. The best BI successes, says PBT Group's Thomas, tend to come from leaders who take an interest in the technology side of things: "Most of the success stories I know of are where your executives are really interested in that technical landscape. I think that's where, once you understand why we do what we do, there is immediate buy-in. We shouldn't underestimate executives' understanding. If you're throwing R30 million at a BI shop for five years, you will start asking questions." Gary Allemann, MD at Master Data Management, combines the two views, saying it's important for leaders to have their minds on both the business outcomes and the technology behind it. Otherwise the eagerness for BI can lead to some expensive mistakes. So the idea that IT is the central custodian and guardian of all data in an organisation...I don't buy that. "One client we're working with had American consultants come in and build a new segmentation model for them, but it was built upon data sets that they didn't have in their business," says Allemann. "So, if you don't have the data, the model is useless. But at the same time, the concept of saying, 'I'm building these reports and models because I'm trying to achieve better segmentation to achieve a business goal' is absolutely correct." Executive buy-in and the vision of a fact-driven company are important steps towards BI nirvana, but the process still faces a significant barrier: who owns it? Bill Hoggarth, independent BI consultant. "There are no barriers preventing companies from doing anything with BI," says Ing. "Only people prevent this from happening. The C-level have heard of these concepts, like being fact-based, doing analytics, etc. But they still throw the ball over the wall to IT. Come back and show us something. They're not taking ownership and changing that culture in the organisation." But passing the buck to IT is almost reflexive. BI relies on data and data represents all the information in an enterprise. The management of that information quickly becomes an issue of governance as part of the King legislation framework. 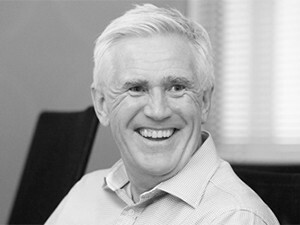 Since governance is often managed through technology solutions, says Chris O'Connell, MD of BITanium Consulting, companies habitually kick the BI ball to IT. "King puts (information governance) responsibility firmly on the company's plate. My feeling is IT is the proxy responsible for that key responsibility," he says, leading them to become automatic heirs to a technology-based regime such as BI. The problem is that if you don't understand the data and you don't understand the model, how do you know if that model is correct for that data? That, though, soon devolves into buck-passing, which is problematic for most technology projects, but an outright death-knell for BI. Allemann appreciates the business habit of trying to be hands-off, but in a BI context, cautions against it: "One of the challenges we have when we throw that ball over the wall to IT is that it's very easy to turn to IT and say, 'You're not getting us the solution we want'. But business needs to engage until they get the answers they want. We shouldn't be picking technology until we understand the problem." Steven Ing, associate consultant at BSG. Leaving most of that process to IT is dangerous, says Hoggarth. IT rarely has access to most of the data that will feed a BI solution, something that even a thorough interview process can't overcome. 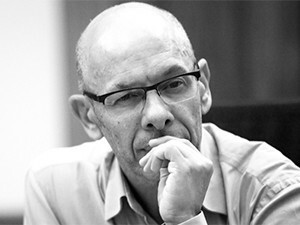 "Most customer data in SA today does not reside in the IT realm," he says. "It sits on a Salesforce cloud or Microsoft Azure cloud somewhere. IT can't manage that. It has no say over that. They often don't even know their marketing or sales teams have put data in the cloud. So the idea that IT is the central custodian and guardian of all data in an organisation...I don't buy that." Then what role can IT play? Says O'Connell: "I think its role becomes putting the guard rails in place, to make sure that business doesn't hurt itself." 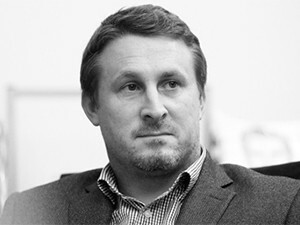 Matthew Cook, Business Development manager at Datacentrix, agrees, noting that often business moves faster than IT. Even though the responsibility to find a solution is passed on to the technologists, users soon grab at the reigns again. 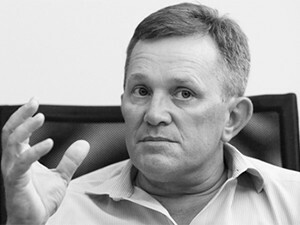 Tony Bell, director, Decision Inc.
"The process takes time, and in the meantime, business gets impatient and buys something, because it needs an answer now," says Cook. "Should IT provide the guardrails? Absolutely: how do we (service providers) support IT in supporting business, but at the pace that business wants it done at?" Allemann is not convinced a sandbox for business should be on IT, not in terms of BI: "Business needs to be defining what those boundaries are. We trust our financial data, but we don't give it to IT and say, 'It was your responsibility, so you sign off on these reports'. It's signed off by the accountants, the auditors. So when we're looking at marketing data, or sales data, or inventory, it's not IT's problem to make those reports accurate. It becomes their problem, because they have a role to play. But business needs to engage right from the start." A central theme starts to emerge from the conversation: embracing BI is neither simple nor iterative. It requires a lot of upfront hand-wringing and decisions that need to be carried through by all, as well as an understanding by the company leadership of its various moving parts. A BI solution can't simply be delegated, then judged by the results. Gary Allemann, MD at Master Data Management. "The problem is that if you don't understand the data and you don't understand the model, how do you know if that model is correct for that data?" asks Cook. "That's the life cycle you need to go through: to get a better understanding of your data from a context perspective. Get an understanding of what it is you're hoping to achieve from a measurement point of view and then marry the two together." Does this mean there are no quick wins in a BI environment? That may well be the case. If anything, BI needs to be pre-empted by an overarching plan: a framework that stops BI's organic growth from overwhelming everything. Just consider how many reports a company generates and how often the nature of those reports changes as people shift positions. The result is information overload and the death of clarity. Losing control over BI is always a risk, hence the need of a steady hand from the start. Yet Naidu says there is still a role for some quick wins in BI: "It's part of the culture change. You walk into any boardroom and you have the pro-data crowd that wants the BI systems right away. Then you have the pro gut-feel and then some people who are in-between the two. Quick wins is one way to unify everybody and prove the case as they go on." 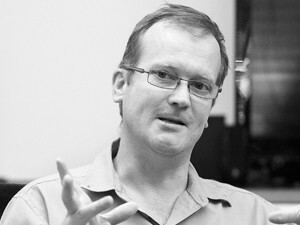 Chris O'Connell, MD of BITanium Consulting. But do not confuse 'quick win' with 'quick fix', cautions Thomas: "Some companies are stingy and hoping the small solution they use with self-service BI will solve their challenges and give an instant advantage. That's not the case. You have to crawl first, then start walking. The guys who are running are the ones seeing the real advantage." Hoggarth, though, feels optimistic that the modern innovation around BI is making it more feasible to get insight faster, because it's no longer restricted to internal data. "We have the tools, but often the raw ingredients for those wins don't exist within the company itself," he says. "They are out there somewhere. They want to know what competitors are doing and what customers think. BI hasn't been able to do that. It can now and that's the inflection point. This is a very exciting time for BI." This article was first published in the [June 2016] edition of ITWeb Brainstorm magazine. To read more, go to the Brainstorm website.